When comparing shared hosting options, what do you look for? Do you want open access to support whenever you need it? Do you want to be able to host an unlimited number of small sites without setting up different accounts? Do you want one-click installations of your favorite CMS or blogging platform? You can get all of that and more if you know where to look. 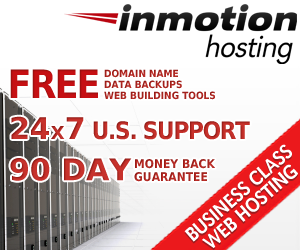 One such option is WebHostingHub.com, which is associated with InMotion Hosting. Learn more about them below. Control Panel: Your control panel with WebHostingHub.com accounts is cPanel. Uptime: In an answer to their community questions, a WebHostingHub.com representative notes that third party reporting shows 99.98% uptime for their servers. There is no uptime guarantee however. Support: WebHostingHub.com offers 24/7 support via phone, live chat, and email in addition to offering a thorough online knowledgebase and community where you can review past customer questions or ask your own. † The $4.95 per month rate requires a three-year up front payment. Two-year and one-year plans are also available at a higher per-month cost. WebHostingHub.com targets DIY webmasters and bloggers. They say their goal is “to provide you with a no hassle, no strings attached hosting service at a great price with above par support.” For the most part, that seems to be the case. For example, WebHostingHub.com offers a wide array of support options for hosting customers. You can contact them 24/7 via phone, email, or live chat for example. And 24/7 phone support is something I consider a must-have in a hosting provider. They also have an online support center that offers a wide array of tutorials on everything from transferring domain names to managing the email accounts you host. You can even access a customer community to review past questions or ask your own of other customers and support staff. As for the “no hassle” and “great price” parts of their mission, WebHostingHub.com also seems to deliver. While their prices aren’t the lowest you’ll find for shared hosting (starting at $4.95 per month for new customers), their prices are very low for the level of access you get to their support staff. That’s something I consider well worth the cost. To make your life easier as a site owner, WebHostingHub.com offers one-click installations of popular content management systems like WordPress, Joomla, and Drupal. So again, they live up to their mission, making it easy for the DIY crowd to get a website online quickly and easily. Now we have to cover a topic I know some readers are torn on — “unlimited” resources. Some consider this a pro, and others a con. Essentially certain resources are deemed “unlimited,” but others (generally tucked into a host’s TOS) are limited. So you’re never actually able to use any resource to an unlimited level. That would be physically and technically impossible. On the plus side, if you have several small sites that you’d like to run and you don’t expect them to be resource-intensive, a shared host with these “unlimited” site offerings could be good for you. You won’t be limited by the number of domains you happen to tie to the account. While I now use dedicated resources for my own large network of sites and blogs, I actually started out with a similar “unlimited” hosting account, and it served me well for years. Now we have to look at the other side of “unlimited” shared hosting. In this case that includes websites you can host, bandwidth, and disk space. For some readers this is automatically a no-go because offering “unlimited” resources generally means the host is overselling the resources of the server. That’s done so a host can maximize revenue per server, because not all customers on each server will use all of the resources otherwise allotted to them. In this case, the TOS don’t mention specific limits on things like CPU. But they do note that “scripts should complete execution in 1-2 seconds at most” and that “database queries must also complete quickly, and databases should not be larger than is appropriate in a shared environment.” Personally I’d like to see some specifics here in the terms. People should know exactly what they’re getting before they pay any host. I do take issue somewhat with one part of the company’s stated mission. That’s where they claim there are no strings attached. I know this is a matter of opinion, but I consider anything other than offering month-to-month services to have strings attached in the hosting industry. With WebHostingHub.com it appears that you have to order hosting for 1, 2, or 3 years at a time. When you don’t know the exact limits of an account, you have to pay for a year or more up front, and the company reserves the right to cancel that account without a refund if they claim you violated those non-specific terms, that’s a problem. You can’t have it both ways, so I’d like to see their TOS edited to reflect a single policy upon cancellation. You should also note that when you request the cancellation of your account, the hosting company doesn’t consider that request to be effective until 30 days after its received, at the earliest. My final issue with WebHostingHub.com has to do with the way they advertise their prices — or more specifically, the way they don’t advertise their prices. It’s bad form to try to sign customers up for something before you tell them how much it costs. Yet I couldn’t find detailed hosting pricing information without clicking the “get started” button, which takes you to a sign-up page. Before that, all you can see is the price of their 3-year plan mentioned on the homepage (without any mention that it requires a 3-year commitment — not even in fine print on that page). Even on the sign-up page, prices only appear after a form to collect customer information. The pricing issue gets even worse. The fact that your price will go up after the first year (or first order period) is tucked away in the fine print below the section where you choose your package and enter your payment details. Again, this should be much more transparent. I also noticed that the company opts you into a backup service which adds $12 per year to your order. Under no circumstances is it okay to opt customers into an add-on service. Customers should be able to opt into a premium service if they want it. They should never be forced to opt out. WebHostingHub.com might be worth considering if you’re looking for an “unlimited” shared hosting account and easy setups for your new sites. That said, I’d love to see the company make some improvements to their own website moving forward to increase transparency on their pricing before pushing people to an order page and more specifically address resource limitations and the discrepancy regarding their refund policy in their TOS. Note: Information in this review was valid at the time of writing — December 2012. Prices may have since changed. Please visit the hosting company’s website for the most current information on pricing and features. Disclaimer: This post contains affiliate links. The author is not directly compensated by the inclusion of these links, and earns the same regardless of writing a positive or negative review. Web Hosting Directory prides itself on providing objective information and hosting reviews to help readers choose the best hosting provider for their needs. In a time when it can be hard to get a real person on the phone, it was refreshing to start my new web hosting experience with just that–a real person on the phone. It was not a very helpful support. The man was nice, but couldn’t answer any of my very simple questions. He said he wasn’t a developer, but why is he working for technical support? Also I miss more functionality with the web builder. How can you for example change the font and sixze of the title of the web page. Irvin was very helpfull with my questions and put me on the right track. I don’t know why I hestitated in calling….it was so easy. Fairly certain it was “Josh” with whom I most recently worked and he was exceptional. The emails to my phone stopped for some reason on the Alan@BreakoutResultsLLC.com account. Before deleting the account from my phone, I had asked Josh and another WebhostingHub rep if I would lose all of my emails by deleting and then adding back my account. I was assured that I would not, but I “did” lose ALL of the emails sent from my phone. Although losing — and not recovering — all of the emails sent from my phone after adding this account back to my phone was extremely upsetting, Josh still proved to be incredibly patient, professional, kind, helpful, and courteous. It would be nice to know if anyone else has had the issue I had wherein the emails stopped coming to their phone on accounts hosted by WebhostingHub as I have 4 other accounts on my Samsung Galaxy SII phone and have not had any issues with those email accounts. Please extend my regards to Ted Sakis. I have received nothing but frustration, anger, depression and aggravation from this site and its non existent help or service!!! I want ALL my money back NOW for the domain and 3 years of hosting I have purchased. After 6 months, I have NO site, NO way to get it running and have lost so much business an money, it is heartbreaking! Absolutely nothing I have asked for help with has been answered and I have stayed as polite as I can, dealing with it, but not any more. I am sick to death of this ridiculously complicated laid out site, needing 6 different log ins and passwords ro do anything and there being far too many things that I don’t want and the extremely few things that I do want either not being available or not working together with the other parts. This is a complete and utter horrid mess and I can’t stand it any longer. Give me my money back! noticed some of my website had dropped.. it took about 5 minutes total for you to identify and fix the problem. we are back up and running smoothly. thanks. Fast, efficient and above all else, correct answers and help, thanks. I hada an internal server error message today. I am based in Istanbul, 7 hours ahead but thanks customer service online support that solved my problem in a few minutes.. This is my first website and I am not familiar with any of the processes to get started. My first call to customer service was for very basic questions, not only were they very informative they made me feel like my call mattered just as much as the largest client they have. It was very reassuring! Especially since I know I’ll be calling again. Cory R. was great to work with. He was extremely helpful. Cory R. was great to work with! Recently I had a issue that I couldn’t login to my builder account. I submitted a email to support at Web Hosting. I received a response with in a few minutes. With in a couple of email exchanges the support team had fix my problem. I the process I had discovered a bug that support had been tracking and are working on solving with a update in the near future. I am very pleased with Web Hosting Hub and their Support folks. Just had an issue with a strange FTP client bug that prevented me from logining in. My call to WHH customer support get the problem resolved. This is the second time I’ve called WHH customer support and I’ve been helped effectively and politely both times. The customer service person worked through the questions about getting my website files on to the server. It went quick. The rep got the information across quickly. I have dealt with Cory and Carlos in recent days, and they have been very patient with me and all my questions. I have to admit it was truly their service that got me to sign with your services. I am in the process of moving my website over from network solutions. I used their website template builder so was hoping to be able to be able to download the files which resulted from that and then upload them to my new hosting site on webhostinghub.com. However, network solutions doesn’t allow this to occur…so I have to build a new website. Both DANA and JOSEPH did a great job in talking me through some things, including how to “point” that webhostinghub.com is my new hosting service. I am still not “there”, but so far your team has been really good and hasn’t annoyed me by trying to up-sell me on something each time I call (which is one of the reasons I am leaving network solutions…that and their aggressive calls from their up-sell department). My experince was very good today, lady took care of the request very quickley. Nice to talk to a real person named Alex: Courteous, quick and complete. All my questions were answered. One question dealt with accounting, the other technical, and the switch over between departments was quick and smooth, and all my inquiries were answered completely and professionally. Thank you Webhostinghub.com I would recommend your company to anyone wanting reliable web service. But as a whole the experience was great! Keep up the terrific work, and certainly give Cory accolades on my behalf. Great Experience. I have dealt with Terry and Reilly in recent days. The service was great. Very details instruction to sort out the problem. It was really my best decision to choose web hosting hub. Edward P who helped me resolve a billing issue was quite professional and well able to help. Thank you. Nick helped me with getting my password reset, thank you! Much better than chat help. Problem was resolved quickly. I was very impressed with Chad and Allen P (hope I got their names correct). They helped me and answered all my questions. I was really impressed with the web site – the domain name search – so easy and user friendly. Sold me! Thanks so much! Great experience so far! Online support really quick, helpful and patient! Website runs really fast!